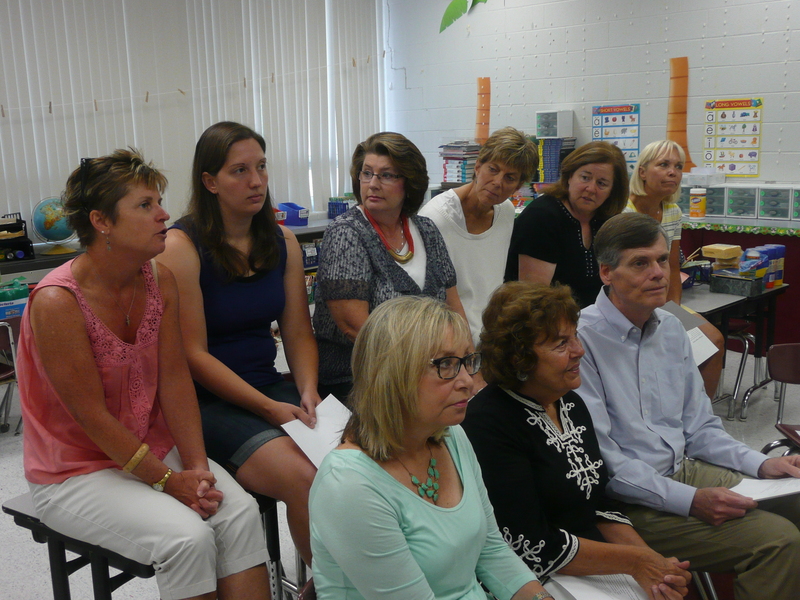 The HOPE (Holy Land Outreach for Peace Education) teachers from Cincinnati were skyping with their partner teachers in Palestine. Having stayed in their homes, having eaten at their tables, having learned the names of their children and their spouses, and having, here is the key, having looked into their eyes and seen in them Christian sisters and brothers, our Cincinnati teachers wanted to know, first above all, that their friends and colleagues were safe. Much of the first half of the 90 minutes was about our questions about the war and the situation in Gaza: the news as we hear it, what is going on and why it is going on, what we might do to be of help to them. And the camera was turned off. 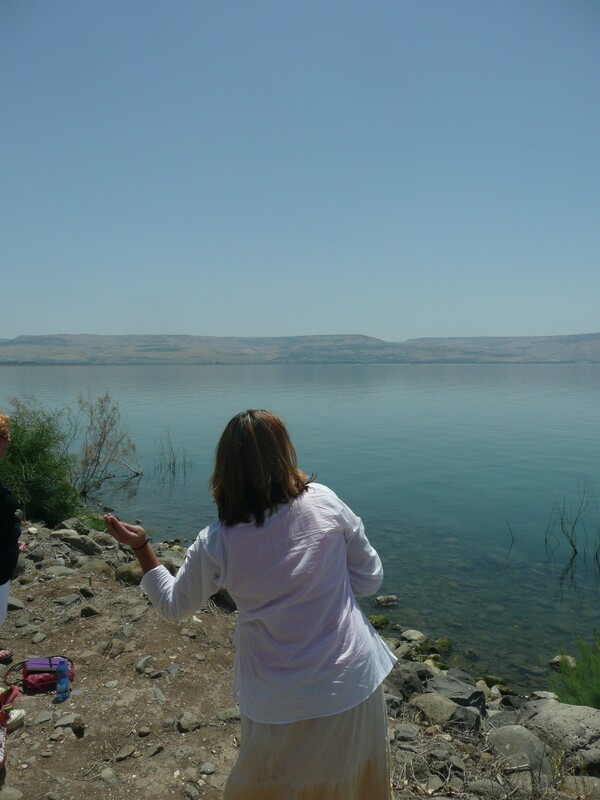 In the dark and sickening days of the Gaza-Israel war (Hamas-Israeli conflict), it is good for me to remember being in the Holy Land with pilgrim-teachers, and laughing, eating, drinking, smoking and dancing with our friends. 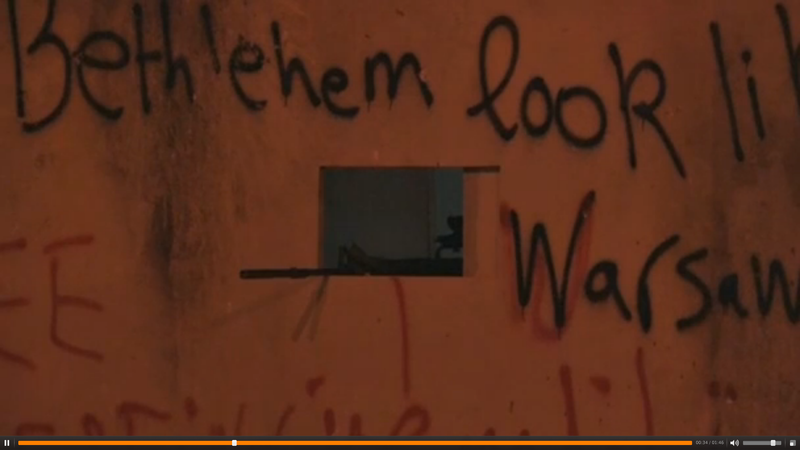 In Madaba, Jordan, our friends (and their family and their friends) took us out drinking and dancing one Saturday night. They wanted to feed us with an evening feast of salads and meats and vegetables and on and on and on, but we had eaten dinner just an hour before they came to the hotel and dragged us off to the third floor restaurant overlooking the roundabout at the town’s center. 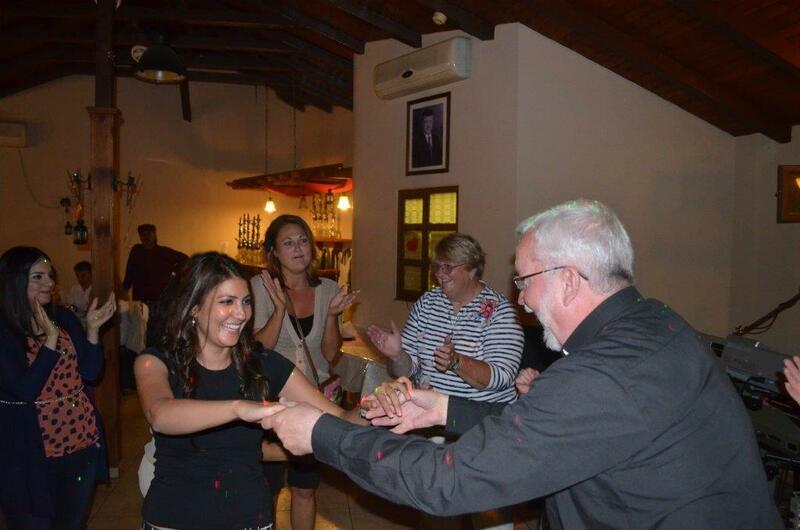 Singing and clapping and dancing, Americans and Jordanians, all believing Christians, under a spinning ball reflecting colored light onto the floor and our clothes and our faces! A local priest and a college professor each took the microphone away from the keyboard player that they had hired for our evening’s entertainment, so that they could sing some of their favorite Arabic dance tunes. At the tables new wine bottles kept appearing as others kept disappearing. Nuts and humus were abundant, and, of course, there was the required hookah (water pipe) with its gentle, flavored (and legal!) tobacco. 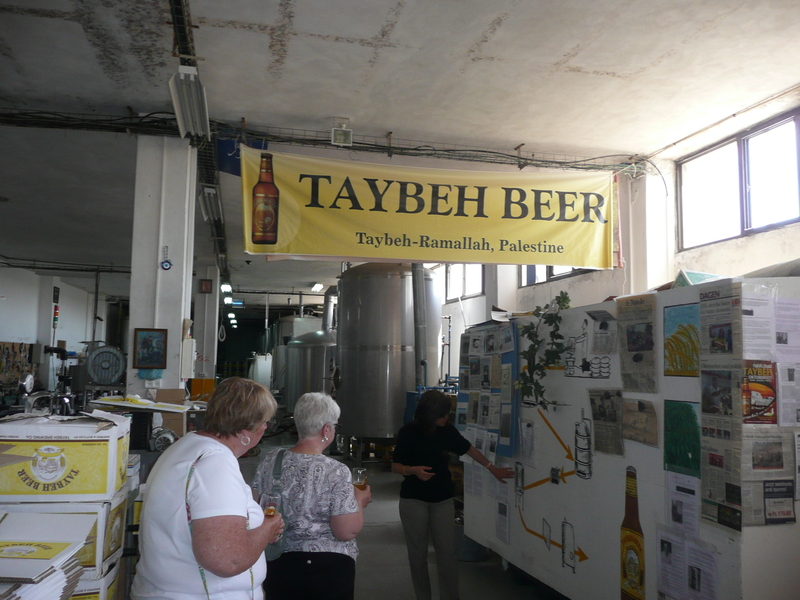 And to Taybeh a few of us went to visit the brewery owned by our Palestinian Christian friends. 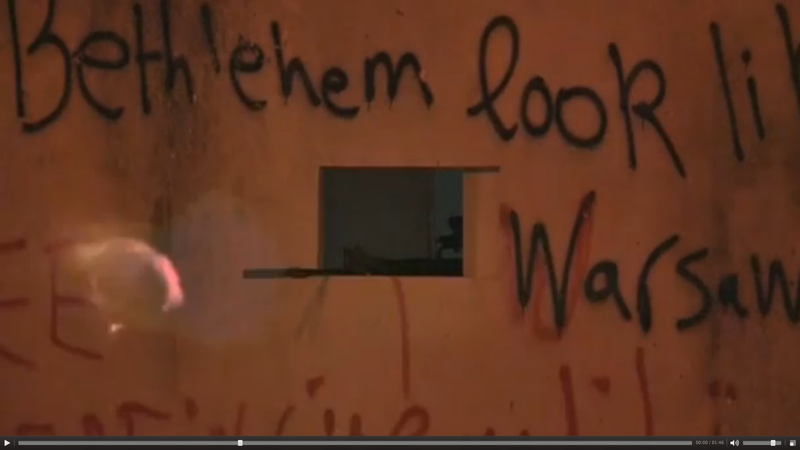 For the sake of perspective, the village of Taybeh is but a few miles from the Qalandia Israeli military checkpoint where the most extensive and violent clashes between Israeli soldiers and Palestinian youth have taken place in the West Bank. Members of the family that own and operate the brewery welcomed us, spread out appetizers and offered us a taste of as many of their beers as we liked, while walking us on tour and explaining the challenges of running a business in the West Bank that requires a regular supply of water. I left the brewery with two cases of beer, twelve bottles each of their four most popular beers: dark, amber, golden and their yet-to-go-public “white” beer. 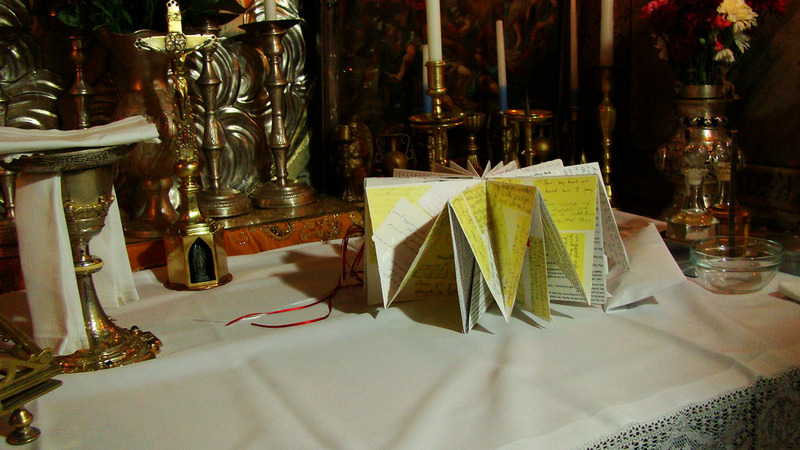 It lightens my heart to remember that our pilgrimage was not all pray, but included some play. 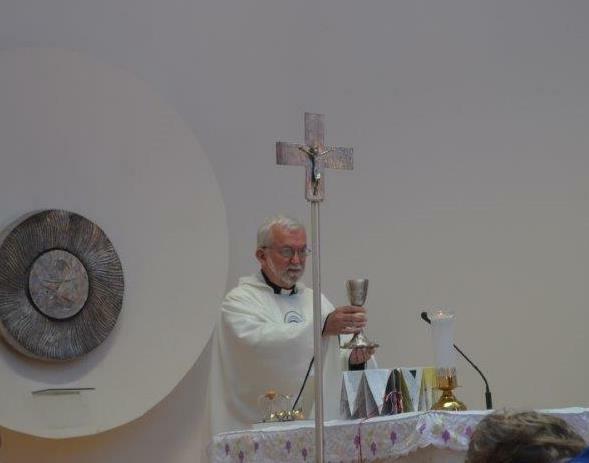 One of the good things about “having a priest” on a pilgrimage is that you get to celebrate Mass every day. 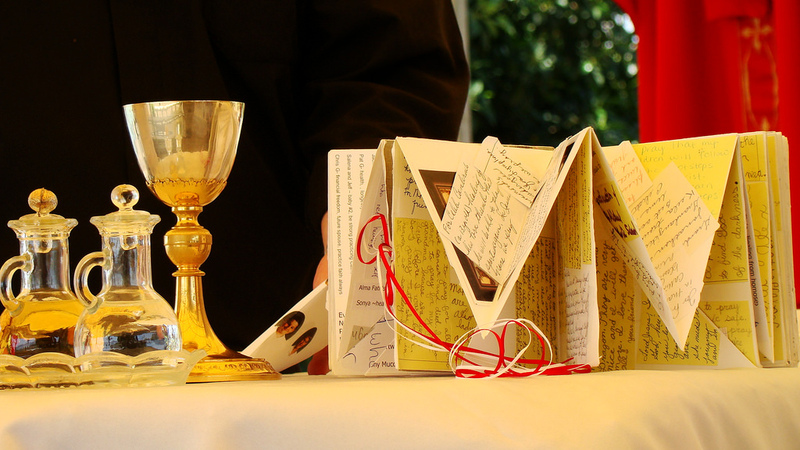 One of the good things about “being a priest” on pilgrimage is that I get to celebrate Mass every day, each time at a site that was significant in the life of Jesus or is significant to the local Catholics today, and thus are significant to us. 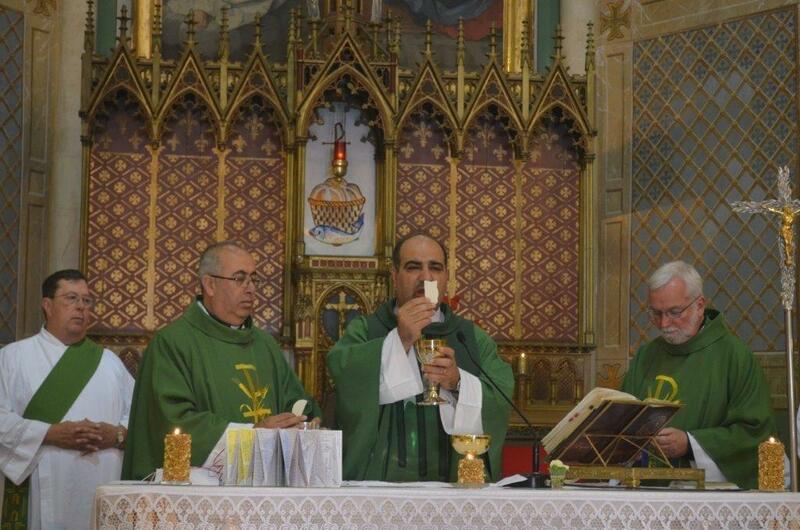 The color was green when I concelebrated with Father Ibrahim, the parish priest of Beit Jala (Bethlehem) and Father Faysal, the General Director of the Latin Patriarchate Schools of Palestine and Israel. 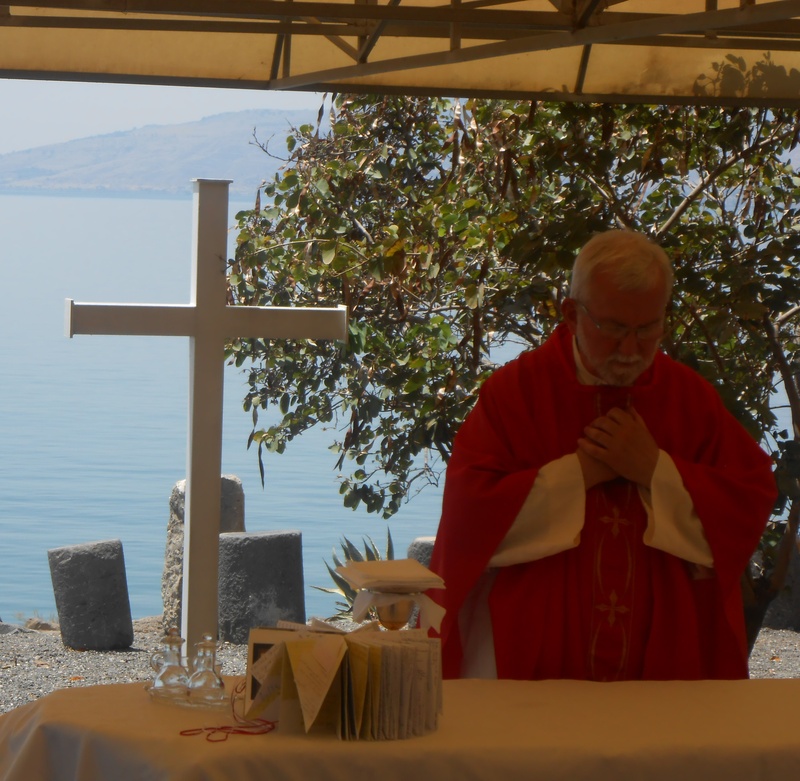 At Capernaum along the Sea of Galilee we celebrated in red, in honor of the Apostles Peter and Andrew. 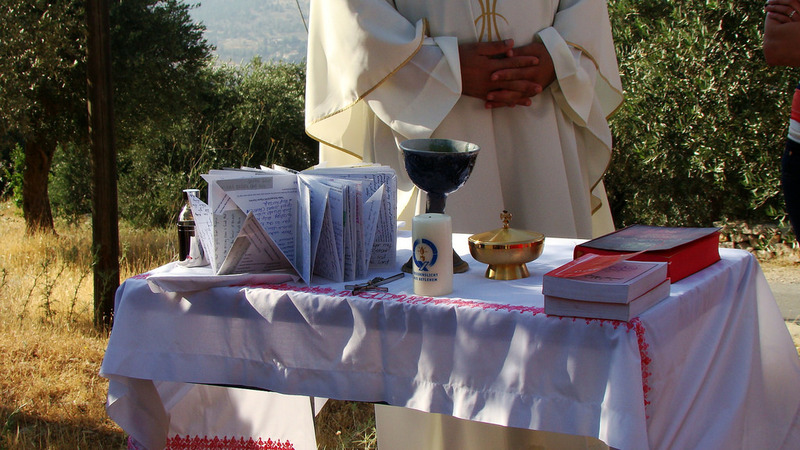 In the olive grove of the Cremisan Valley, Father Ibrahim and I wore white vestments. 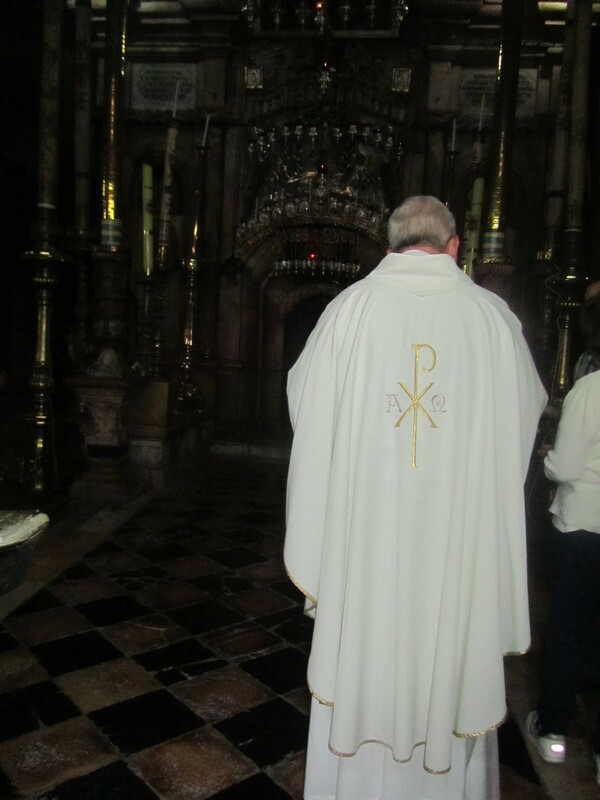 In the Church of the Holy Sepulchre, if we had been on Mount Calvary, I would have worn red. 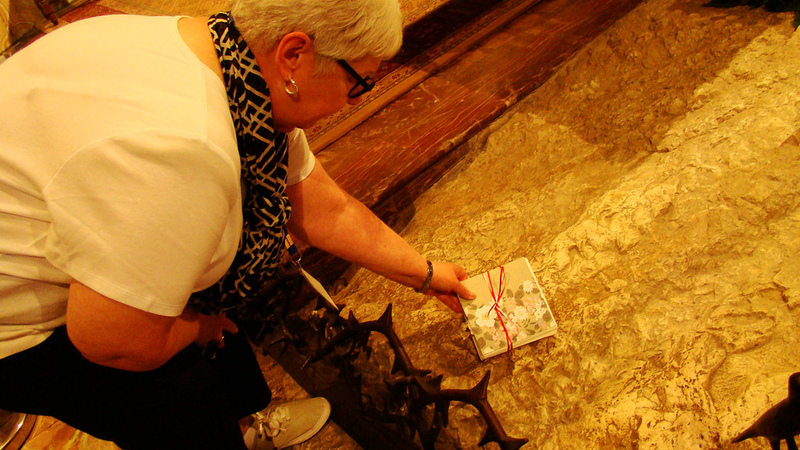 But since we had Mass at the Holy Tomb, the color was Easter white. At the Milk Grotto shrine in Bethlehem the color was, well, you can see for yourself. Speaking of my three teachers (yesterday’s post), I took their picture together three times – on purpose. 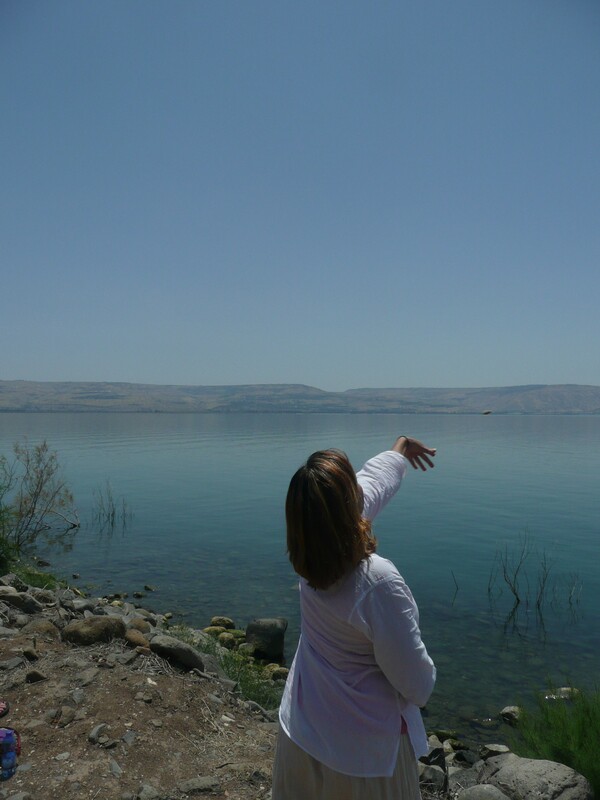 On any map of the Holy Land of Palestine/Israel the color blue is used only three times: the Sea of Galilee, the Jordan River and the Dead Sea. 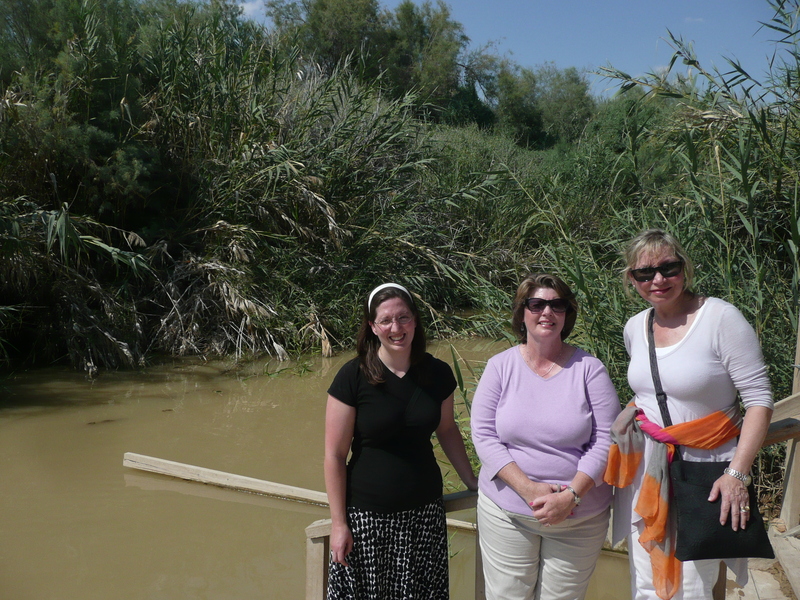 Here are the St. Andrew teachers on the western shore of the Jordan River. 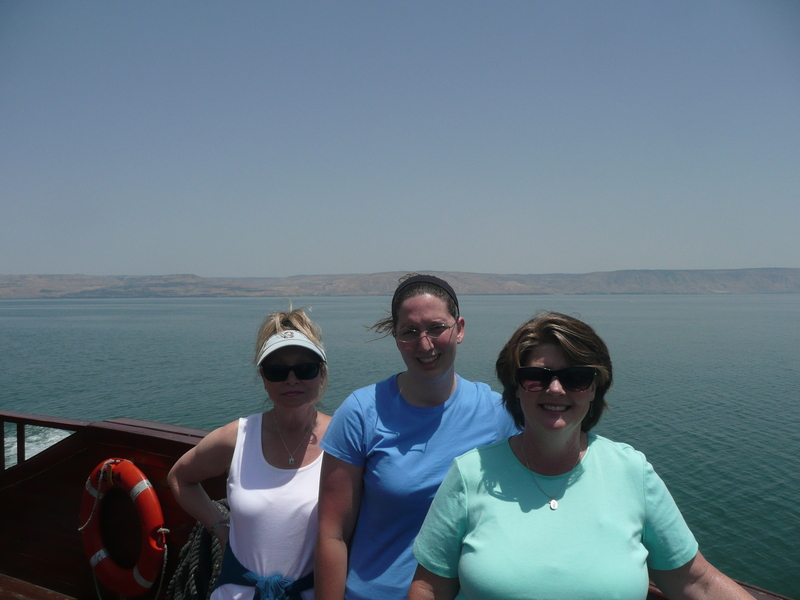 Here they are in the front of a boat on the Sea of Galilee. 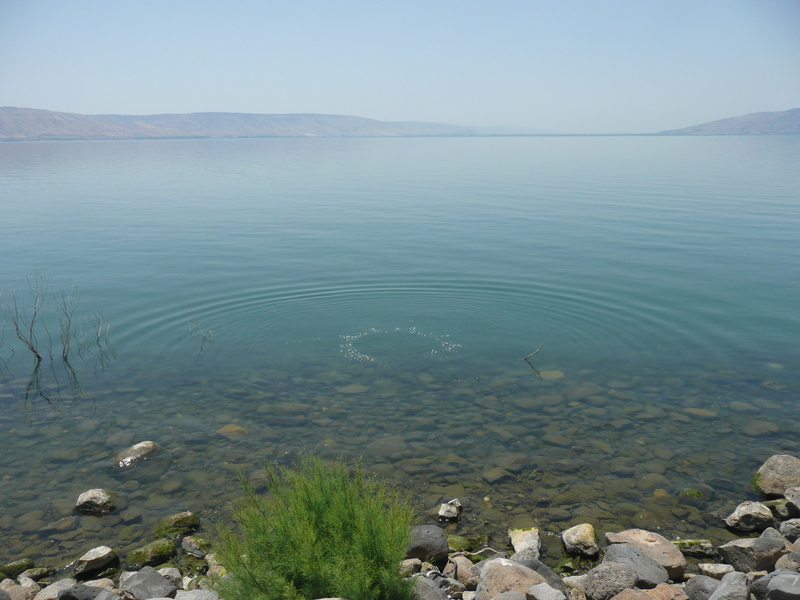 I also have a photo of the three of them floating in the Dead Sea. You have to ask one of them to see that photo. 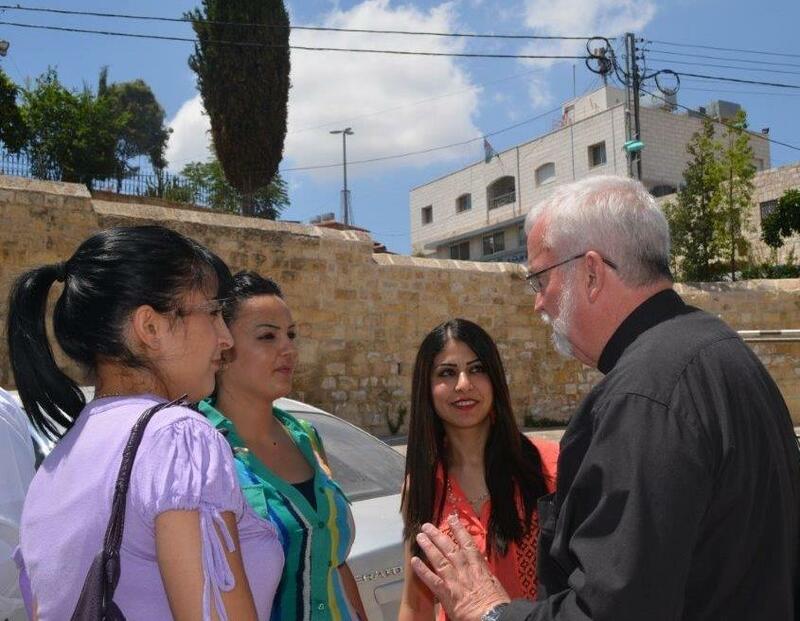 Abby, Christy and Sharon, you honored me by accompanying me to Jordan, Palestine and Israel. 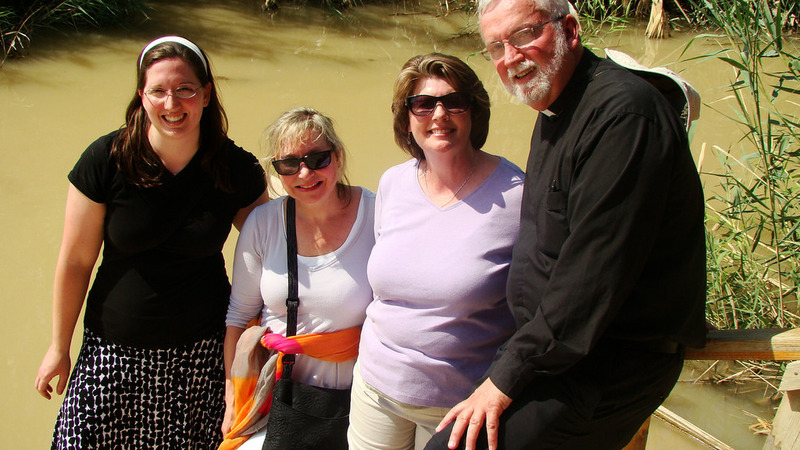 Having known you as teachers in our parish school, it delighted me for these fourteen days to travel, eat and pray with you in the Holy Land. 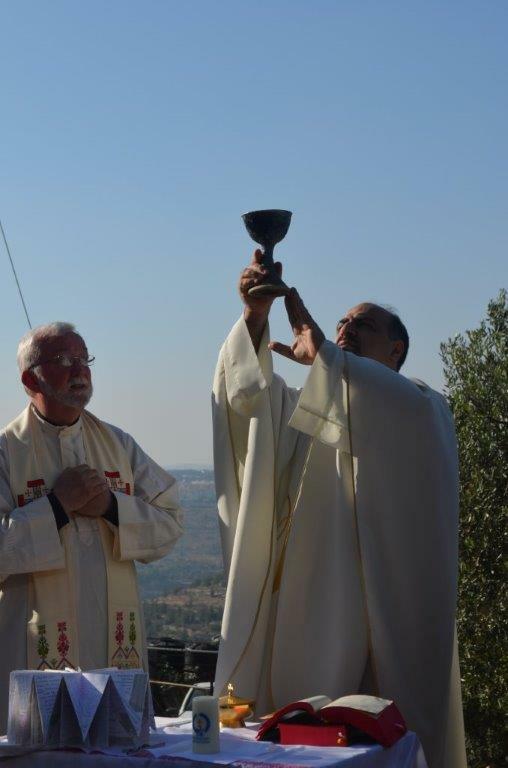 It was like I was taking you home to meet my people, especially in my beloved Beit Jala, and to see the land in which I grew up, in Christ, that is. I wanted you to have an experience as life-giving as I have had. I wanted you to come to love the land and love the people as I much as I do. I knew that each of you would meet a partner teacher and be her house guest for two nights. I was confident that you would be in loving hands in her home and in her care. But a tiny part of my soul was a bit nervous about how things would be for you. I knew you had seen a photo of your partner-teachers, and had corresponded by email with them. But the father-worrier in me wanted to know for sure that you would feel comfortable, loved and safe. Myrna, Niveen and Sally, however much I would thank you would not be enough. 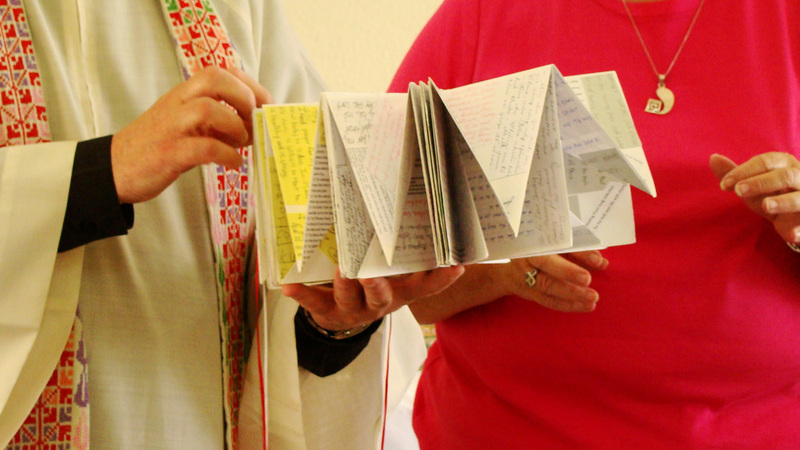 As the teachers from St. Andrew came off the bus in your church yard, you embraced Abby, Christy and Sharon, as if they were your long-lost sisters who had finally come back home. After just a few moments, you whisked the teachers away. They were in your arms, in your hands, in your cars – and they were gone. Then I left for two days, wondering how things were going, and hoping that each of you would bond with the teacher that you took home and to school with you. When I returned to pick up Abby, Christy and Sharon to move on to Jerusalem. I got my answer. The smiles on the faces of all six of you were proof and evidence of the friendship and solidarity that was built up in less than 48 hours. Myrna, Niveen and Sally, I cannot ever thank you enough for what you have given to Abby, Christy and Sharon. They are better teachers, better women and better Christians because of you! You are also “my three teachers” now, too. I owe a debt to you that I cannot repay. But God can repay you. 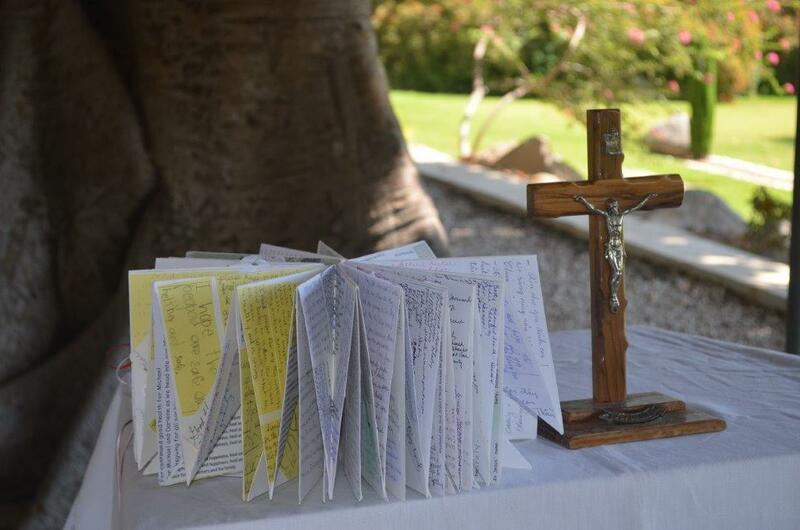 I will remind God often of my debt to you, and will ask God to pay you back for what you have given to the teachers from my school – and to me. 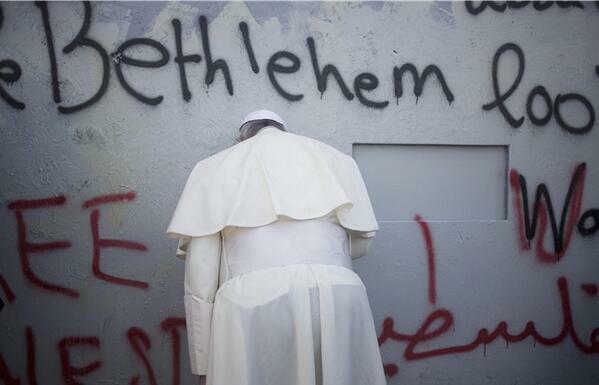 May God continue to bless you, your families, your students and your homeland. Keep hope. Stay holy. Remain happy. Be brave. 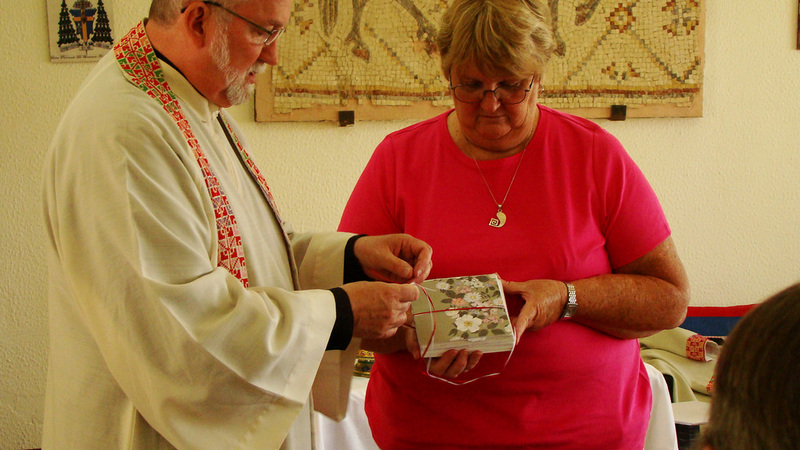 It seemed that, while on pilgrimage, Michelle was always remembering her three children, and was always missing them. She often reminded the rest of us that she had three children, and was constantly reminding God, too. Whenever she was standing quiet, we figured she was thinking of her three children, missing them, and praying for them. 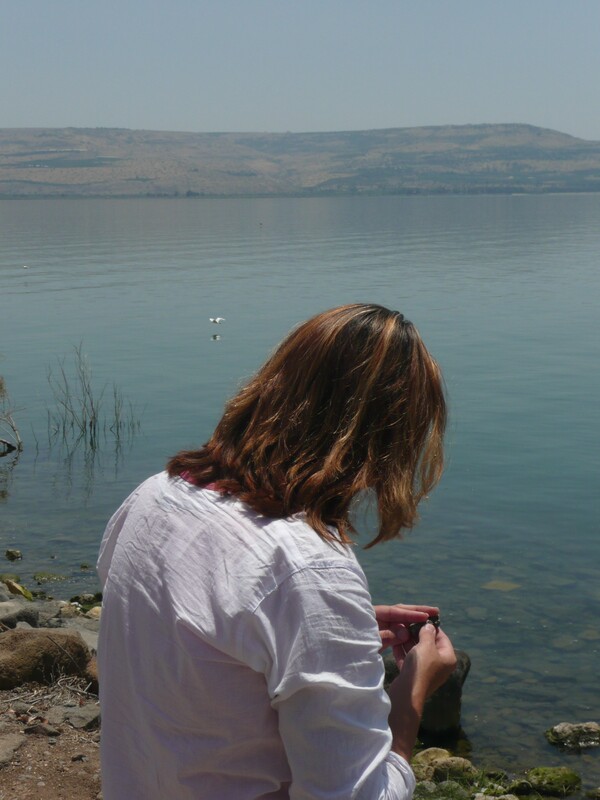 While at the Sea of Galilee, I handed her three stones, of three different sizes, one for each of her children: small, medium and large; youngest, middle and oldest. I suggested that she hold the stones, one by one, as he held her children in her heart, one by one. 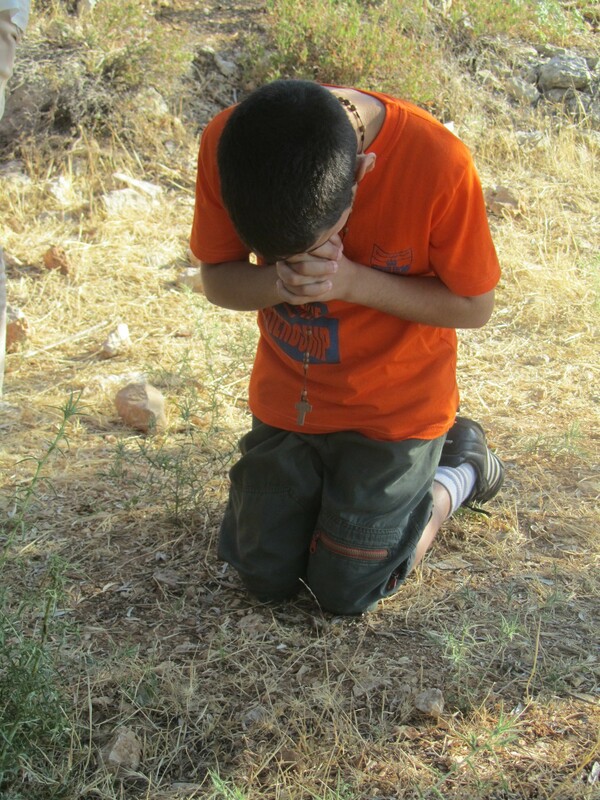 Start with the smallest stone, I suggested, while praying for your youngest child. Hold the smallest in your hand, tell God what your prayer is for your youngest, then toss the stone into the sea. 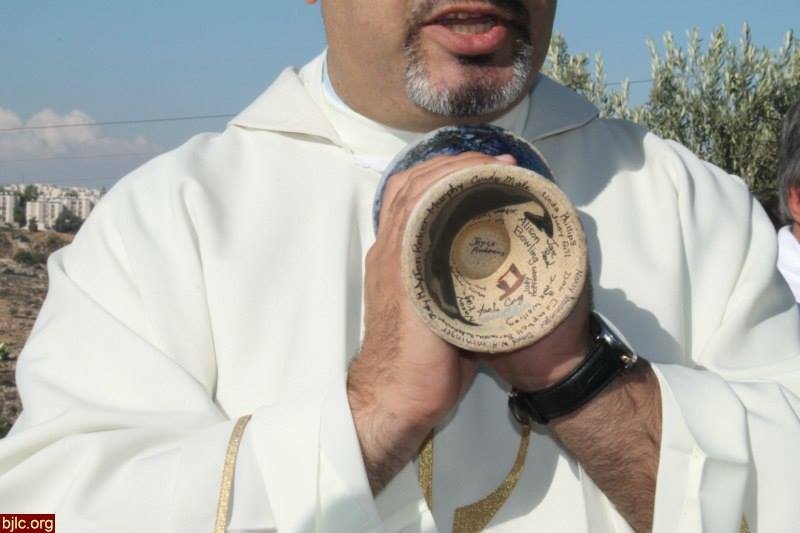 Then take up the medium sized stone and your medium sized child; make the prayer and toss the stone. And finally, the largest and the oldest. The four photos below capture the stages: the stone, the wind up, the toss and the ripple. It made me wonder if the four photos capture the stages of our prayer. 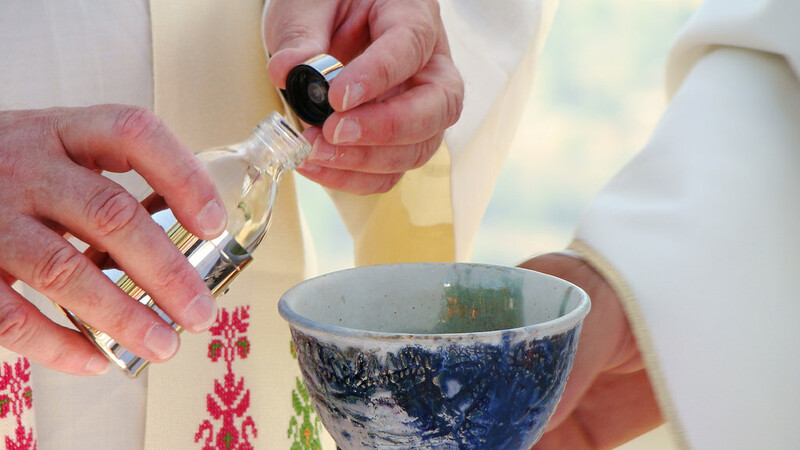 Do they represent four parts of prayer, or four movements in prayer, or four things that are necessary for prayer, or four things that make a prayer a prayer and not just a thought? What do you think? I have given each photo a caption, from the point of view of the stone. 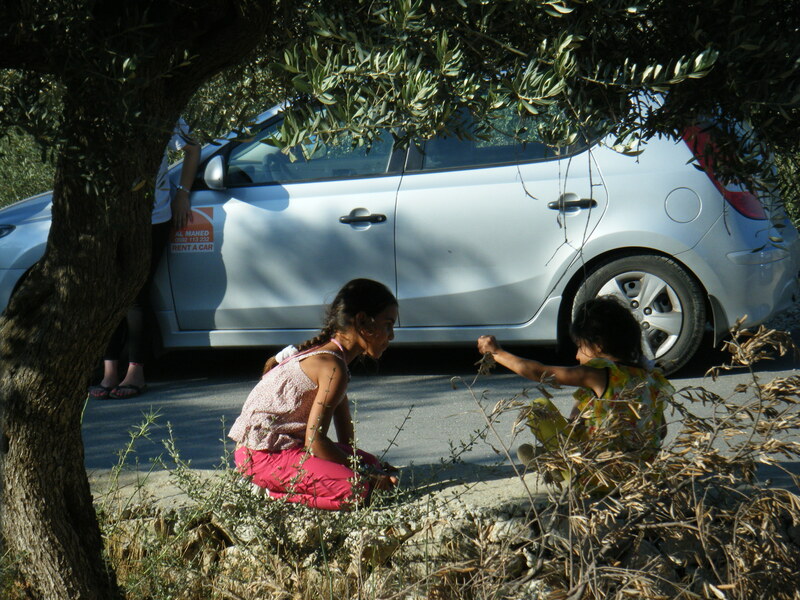 What caption would you give them, if the photos were not about the stone, but about the prayer?